After few years of participating in and organizing workshops, it seems to me there is a problem with expert’s phrase diary in communication. A number of phrases, words and formulations that are often used to describe something by experts and consultants. There are plenty of those in, for example, strategic plans. The fact that experts have their own vocabulary is fine while they are using it in expert-to-expert communication, the problem appears when non-expert participants in workshops start using it: entrepreneurs, directors, workers, engineers, employees in the local administration, etc. And it seems to me they are using it because they see experts using it and they think that’s how they need to speak and formulate things they are about to say. I’ve seen many times employees in the local administration being agonized while trying to formulate one simple thought. 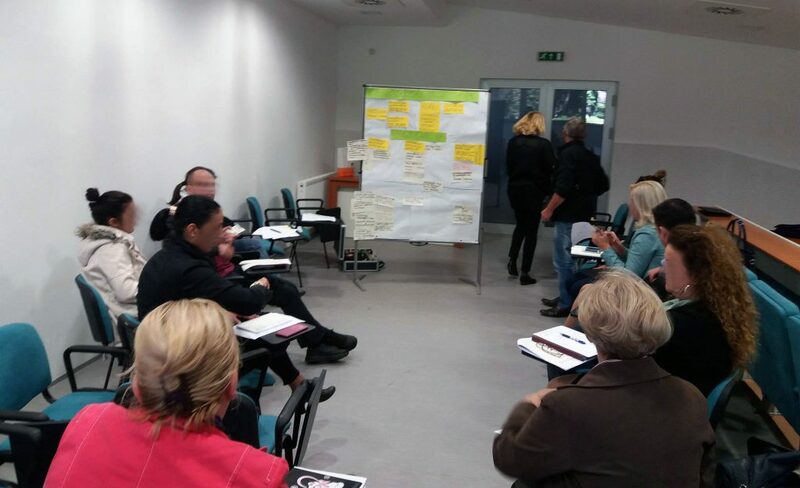 For example, in one small municipality in Republic of Srpska, result of that process was a goal “Solving a problem of floods on territory of the Municipality”. Seems legit, right? After asking them what that was about, we realized one small river was flooding in a specific location. When I asked why they formulated it that way if only one river was flooding one specific location, they laughed and said it sounds more professional. We re-formulated the goal and asked them not to use professional phrases anymore and just to say what is the problem using their own vocabulary. They did that, and it was much easier and faster from that moment. Later, we carefully reformulated it, so we don’t change the meaning. Seems to me that, when non-experts are using experts’ vocabulary in workshops or elsewhere, valuable information is lost. Phrases tend to ‘swallow’ details, blur the image and fit statements around universal issues. I don’t think such waste of specific details is good during first phases of doing anything, and I find experts’ vocabulary to be a culprit of many superficial and too-generalized documents we have today. Furthermore, participants who do not understand the jargon will not follow the discussion or will think that other, who do understand it, are considerably more competent (and they are not), so their contribution will be missed. Another thing is that experts phrase diary, or jargon, is instigating over-generalized documents, because generalized and universal phrases are leaning towards generalized and universal interventions. I think it’s important, and easily negligible, that experts and consultants adjust their vocabulary when communicating with non-experts and avoid using jargon for which they’re not sure everyone understands it…and sometimes it seems to me they don’t understand it either.